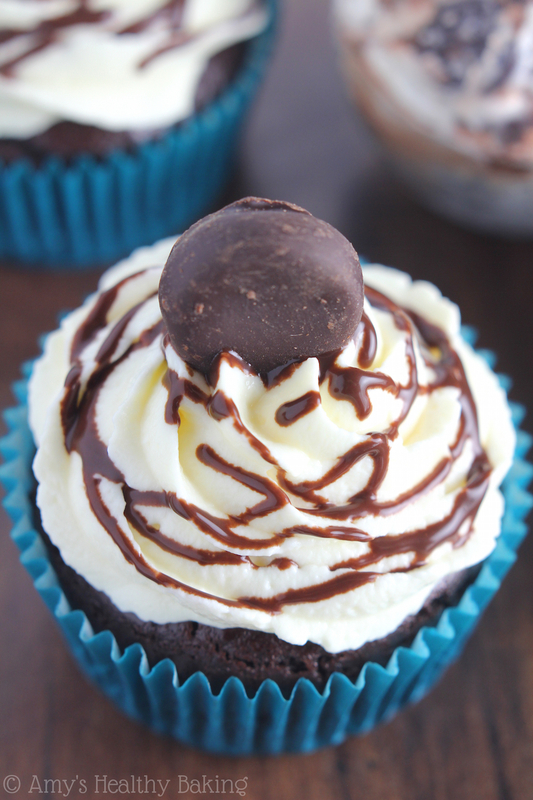 Rich mint chocolate cupcakes made with ice cream baked directly into the batter! So moist & tender—and incredibly easy to make too! In the city where I attended college, the Baskin-Robbins ice cream shop downtown hosted a Dollar Scoop Night every Tuesday evening. Although the winter was usually slow, the line snaked straight out the door during the warmer months with at least 20-25 people waiting for dessert. Shortly after my guy and I started dating, I begged him to go to Baskin-Robbins nearly every week during the summer. Despite his lactose intolerance, he gamely agreed, so I always kept an usually large stash of $1 bills in my wallet. My guy generally ordered the Wild ’n Reckless Sherbet, one of their dairy-free options, and I always giggled at his bright blue tongue. However, as the most indecisive person in the world, I never knew what to put in my sugar cone until I reached the front of the line. While I excitedly waited, jumping from one foot to the other like a little kid, I’d stand on my tip toes to peer over people’s heads at the flavors in the case. My guy smiled at my fretting and debating about which one to choose. It was too hard to narrow it down to just one scoop! But that quickly became one of my favorite summer (and spring… and fall…) ritual. 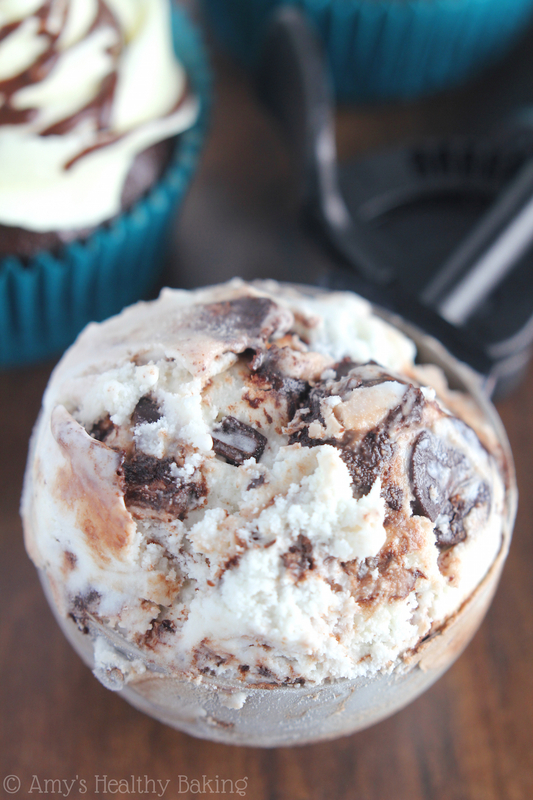 As a huge chocoholic, I always gravitated towards the flavors with a chocolate ice cream base. 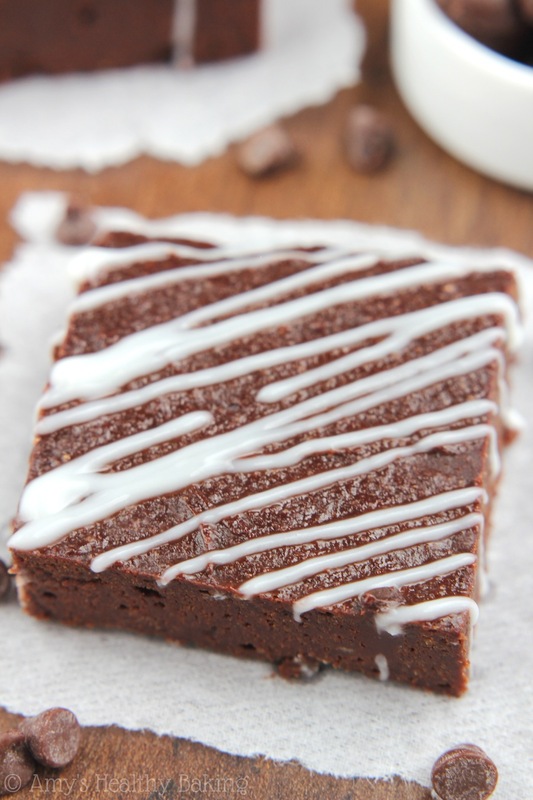 I originally proclaimed Mississippi Mud as my favorite: chocolate ice cream, brownie chunks. and a fudge ribbon swirl. Swoon! But as soon as they released their new Oreo ’n Chocolate, it stole my heart—and the #1 spot. Chocolate ice cream, big Oreo chunks, and a fudge crackle ribbon swirl. If it was in their display case, I always ordered a double scoop! Yet when Baskin-Robbins unveiled their new December flavor of the month, York® Peppermint Pattie ice cream, I drove straight to the store and ordered a pint. 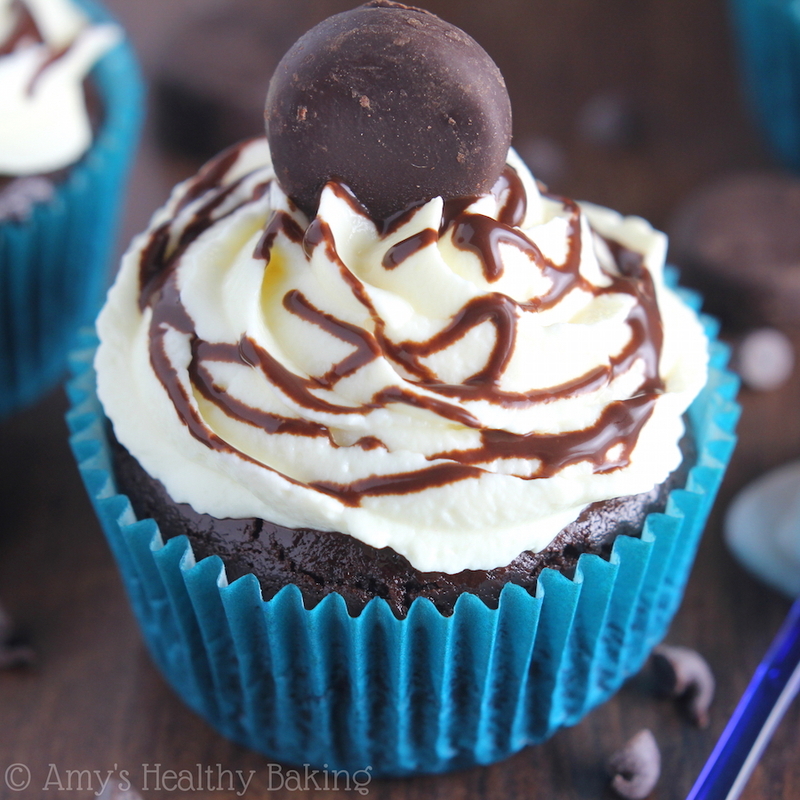 I can never resist chocolate and mint, and this flavor is packed full of both! 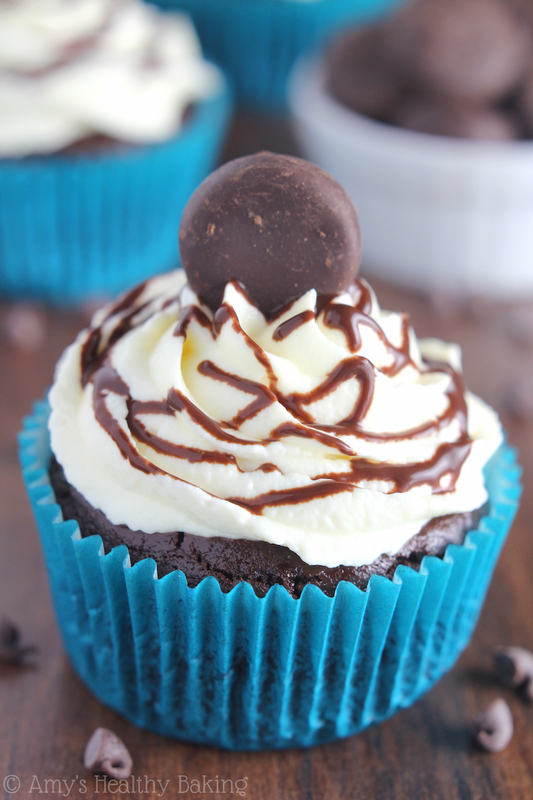 Mint ice cream, York® Peppermint Pattie Minis, and a fudge ribbon swirl. Oh my! 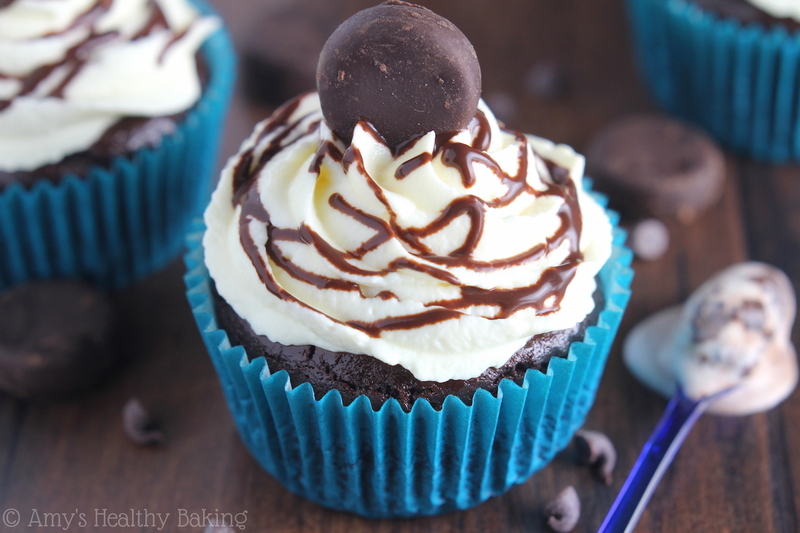 Since peppermint patties are my mom’s favorite candy and her birthday falls on this upcoming Friday, I baked these rich Peppermint Ice Cream Chocolate Cupcakes with Baskin-Robbins’ ice cream to celebrate! 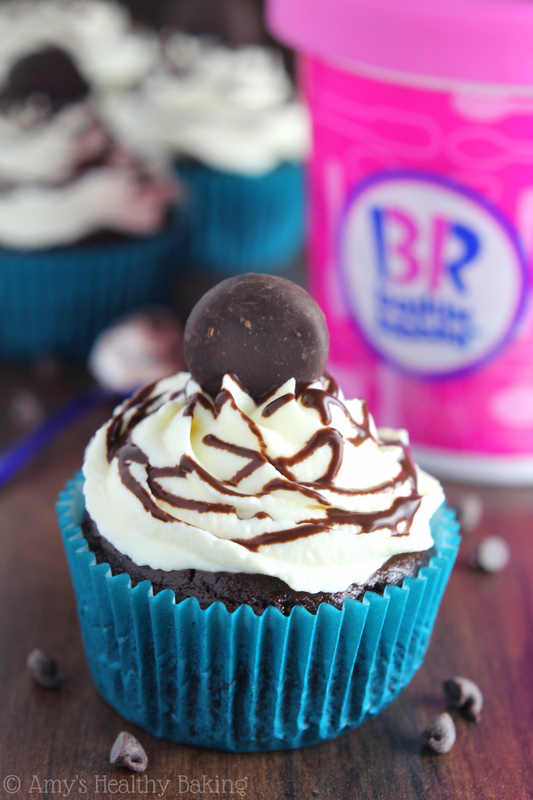 Yes, that’s right… The ice cream is baked into the cupcake batter! 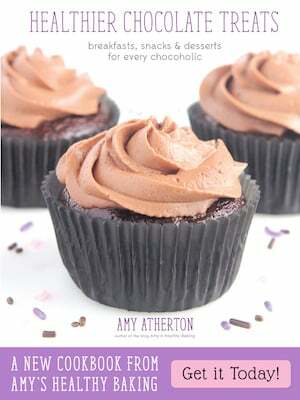 I started with my favorite chocolate cupcake recipe, but I left out the butter, egg yolks, and most of the milk. 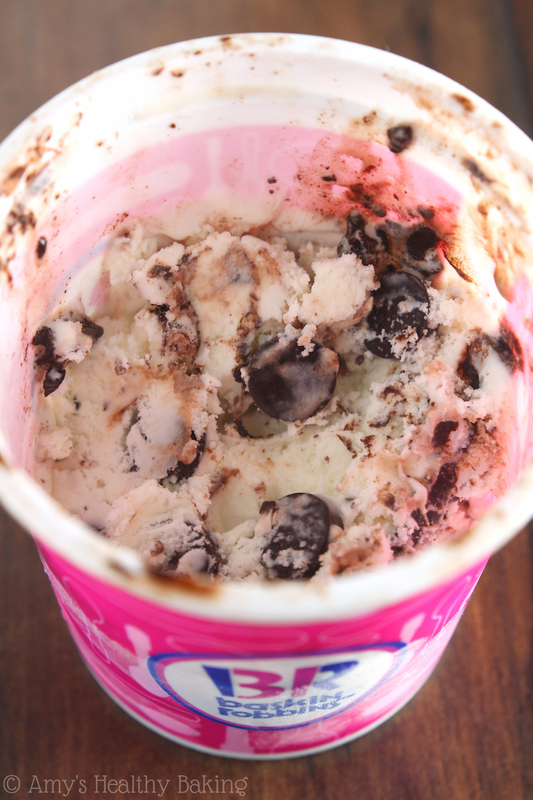 I substituted Baskin-Robbins’ York® Peppermint Pattie ice cream for those ingredients instead. 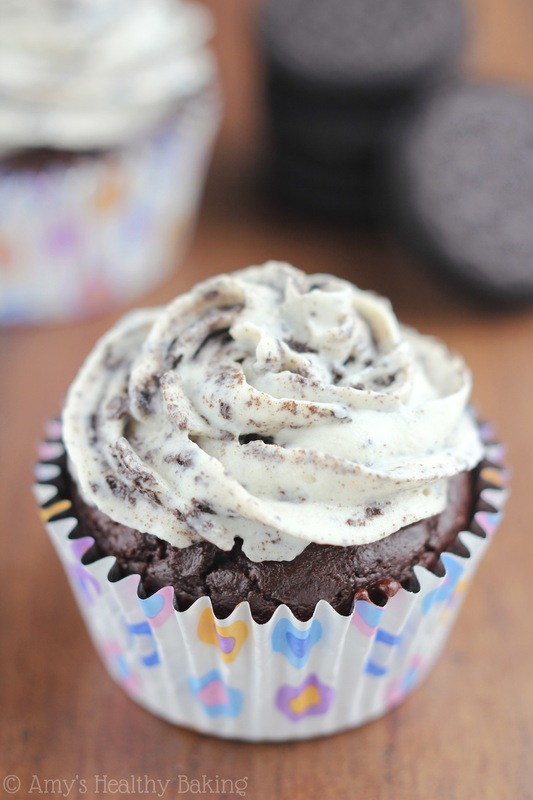 And oh my gosh… It made the cupcakes even more moist and tender than before! We’ll need to melt the ice cream before mixing up the batter. I know, it seems like a sin—just trust me that we need to! Since the ice cream contains tiny whole York® Peppermint Patties, we’ll chop those up before adding in the rest of the ingredients. 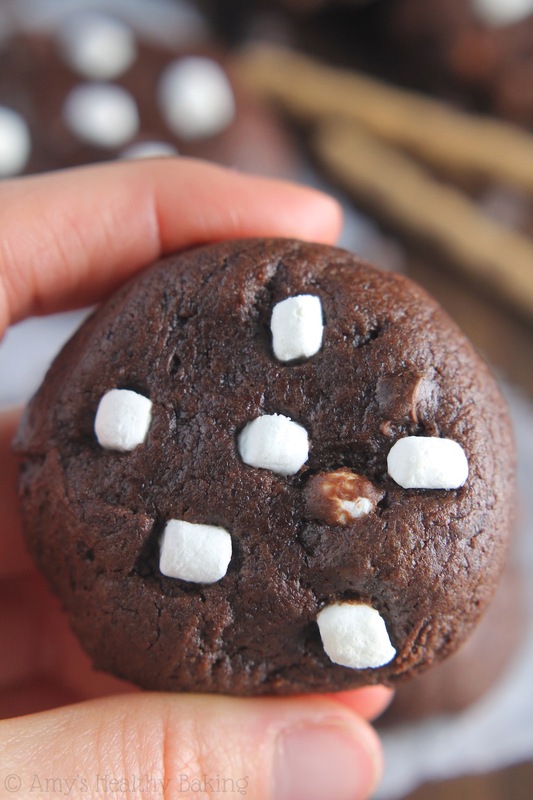 The smaller cut pieces melt better while baking and help disperse the mint flavor more evenly. Tip: I scooped the candies partway up the side of the bowl with a fork, then used that to hold them in place while slicing them with a paring knife. Do whatever feels the most comfortable (and least messy!) to you. Because low fat muffins and cupcakes stick to liners like superglue, remember to coat the liners with nonstick cooking spray before adding in the batter! The batter sticks more aggressively to paper than foil, so if you choose paper liners, spray them twice. 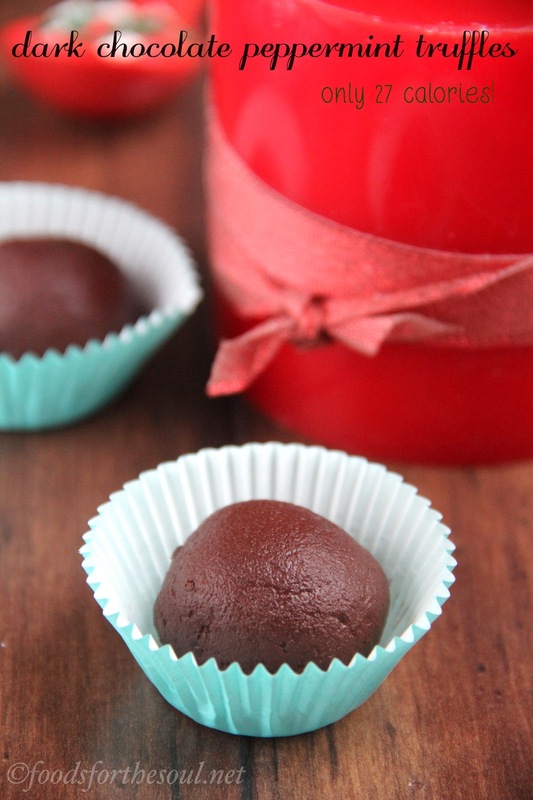 If you forget or the cupcakes still stick, seal them inside of an airtight container for a day. That’ll help loosen the liners so you don’t lose as much cupcake from the sides. These cupcakes are topped with my favorite creamy vanilla frosting made with Greek yogurt, instant pudding mix, and sweetener. Don’t prepare the pudding mix according to the package’s directions! 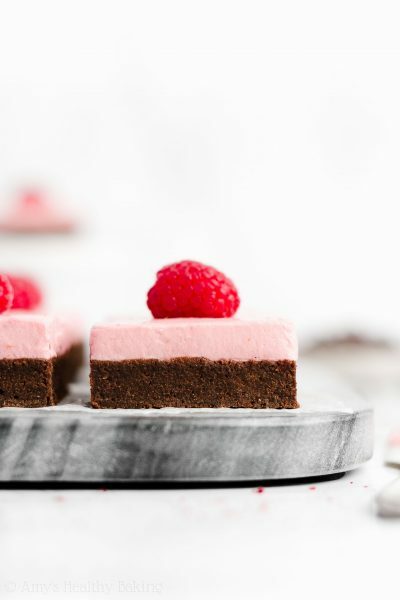 The dry mix thickens the yogurt to a pipe-able consistency like buttercream, so you can create those pretty swirls on top. 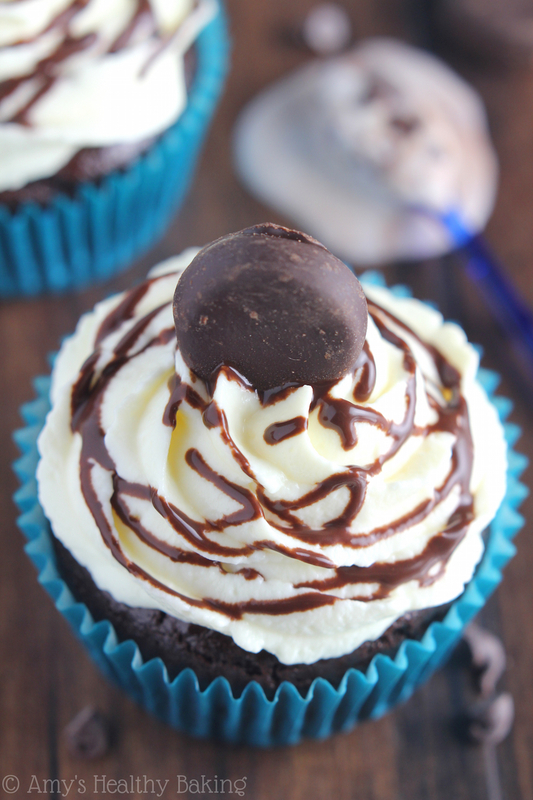 Then drizzle them with chocolate syrup, decorate with a York® Peppermint Pattie Mini, and dig in! With the festive combination of rich chocolate and sweet mint, these Peppermint Ice Cream Chocolate Cupcakes didn’t stand a chance at our early birthday celebration for my mom! We plowed straight through the tender cupcakes, licking the sweet frosting from our fingers with every bite. 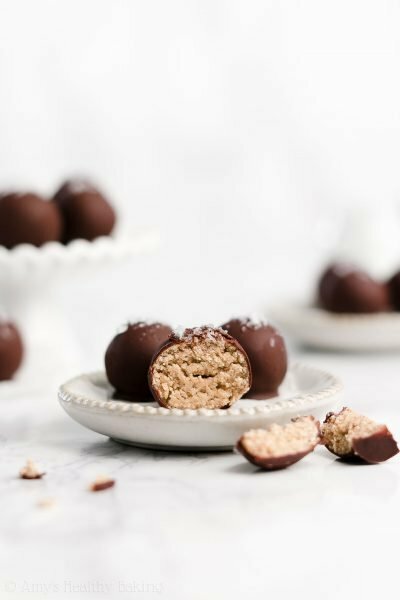 They’re the perfect wintertime and holiday treat! 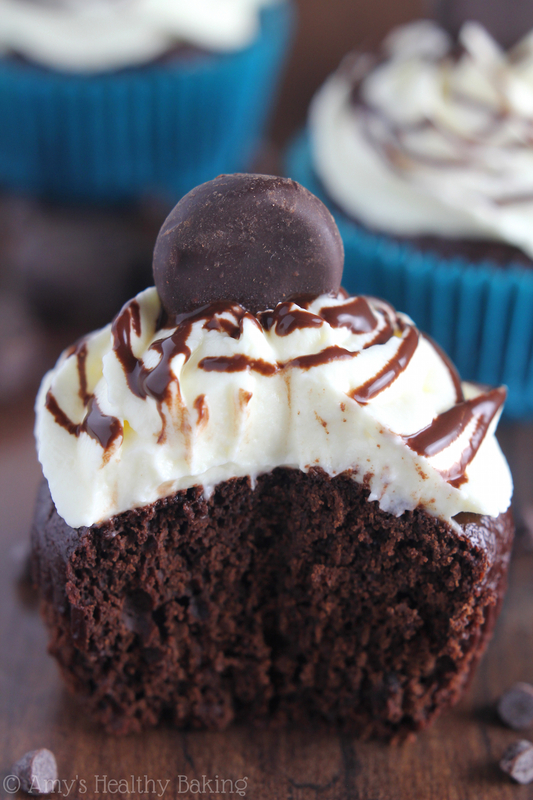 These rich mint chocolate cupcakes are a fun twist on the traditional kind because they contain ice cream baked directly into the batter! 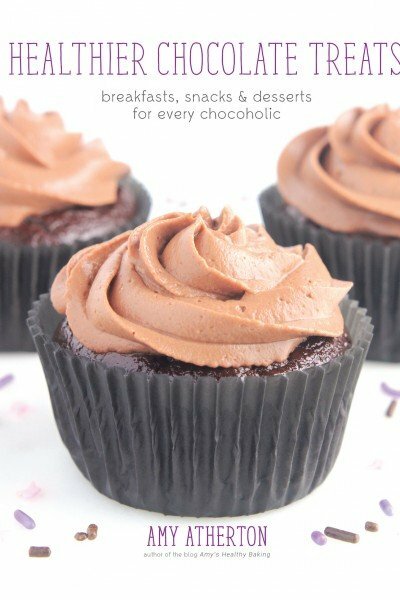 It makes the cupcakes incredibly moist and tender. 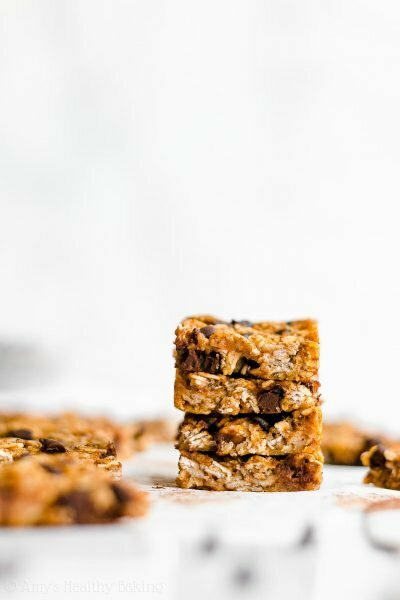 They’re best if eaten the same day they’re assembled, but store any leftovers in an airtight container in the refrigerator for up to 3 days. Whisk together the cocoa powder, flour, baking powder, and salt in a medium bowl. To assemble, add the chocolate syrup to a zip-topped bag, and snip off one corner. Pipe the frosting on top of the cooled cupcakes. Drizzle with the chocolate syrup in a circular, spiral fashion. 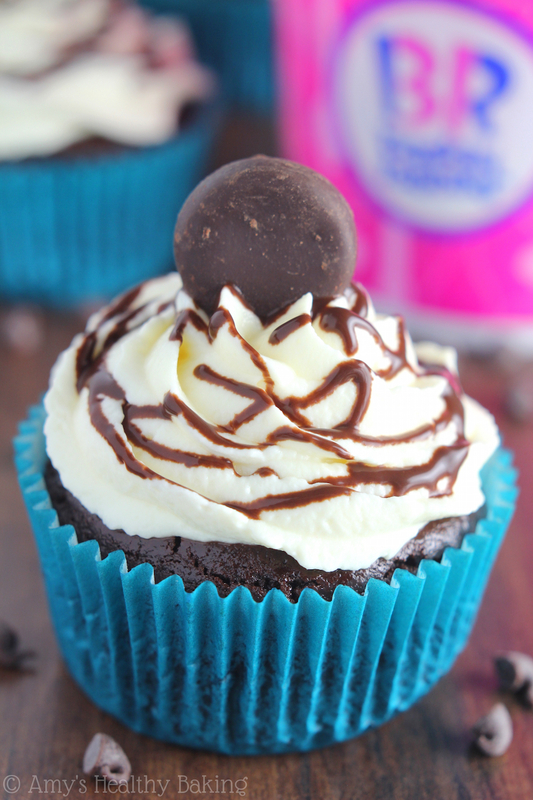 Top each cupcake with a York® Peppermint Pattie Mini. *This post was sponsored by Baskin-Robbins. As always, all opinions, text, photographs, and recipe are my own. Baskin Robbins is dangerous for me. This ice cream? Even more so. I love that you put it in the cupcake!! Thanks Dorothy! 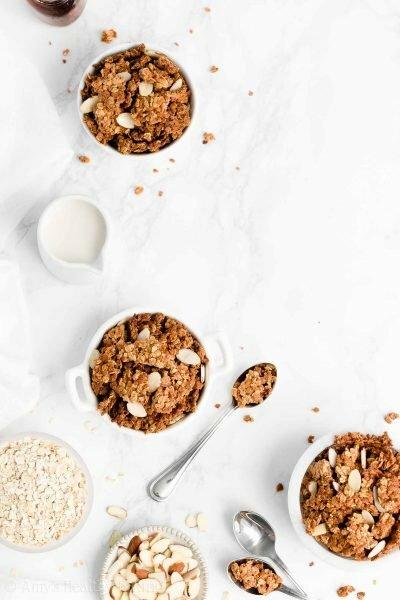 Ice cream is my #1 “out-of-control” food (immediately followed by granola), so I can relate. Those dollar scoop nights were so dangerous! When we meet (and yes, it’s “when,” not “if!”), we should go get ice cream together and sample every flavor in the case! The workers would both love and hate us. 😉 Baking ice cream into cupcakes was so fun — I definitely recommend it! What a great idea! I love this for a kids birthday party! ?